"More people know who I am but I don’t feel any different within myself..."
“CELEBS! THEY’RE JUST LIKE US!” the tabloids love to squeal, as if us mere mortals would be astounded by the fact that just because someone has a face you’d recognise, they sometimes go to the shops for a pint of milk and a packet of Hob Nobs. We know they go through the same everyday toils as us. We know that, regardless of how much money they have in the bank, sometimes they still trip up the stairs (well, maybe not Mariah Carey, since she doesn’t actually do stairs any more). And however odd it may seem, we know that at least one point in her life, Madonna went to take the rubbish out and got bin juice all over her feet. But how does it feel when you actually are famous? 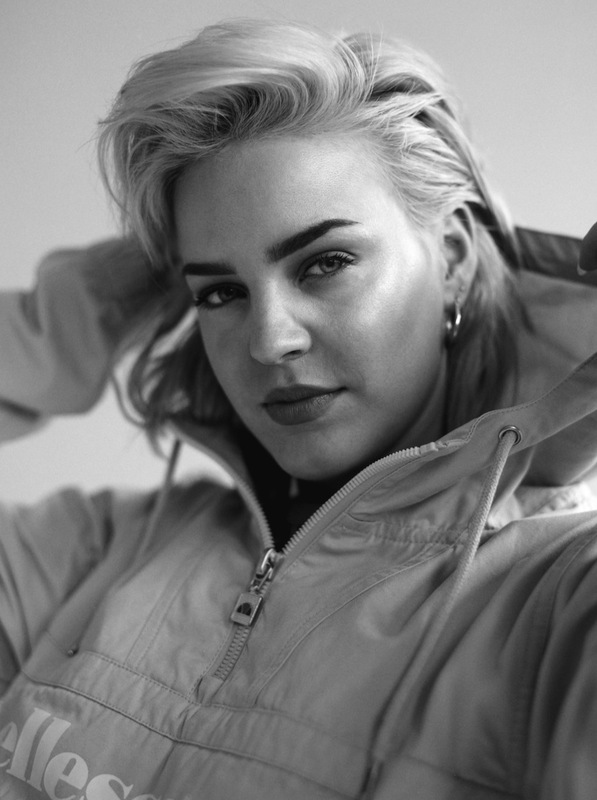 In the last year or so, Anne-Marie has had two Top 20 solo singles, been nominated for a BRITs Critics’ Choice award, toured Europe with Ed Sheeran and landed a Christmas Number 1 with Clean Bandit and Sean Paul. It’s an incredible list of achievements for someone yet to release their debut album, so if anyone has an angle on if things are different once you’re successful, it’ll be her. “More people know who I am but I don’t feel any different within myself - I think that’s the main thing,” Anne-Marie explains down the phone. “I love that my music is connecting with people but I don’t think there’ll be a point where I feel like, ‘Oh yeah, I’m famous now.’” It’s at this point during the interview Clash reminds Anne-Marie of her surroundings. She might well not feel any different but the fact remains that our phone call is being conducted while she’s in the back of a car being driven to an airport in LA. The reason for her trip Stateside? She’s been shooting a video for her latest collaboration. It’s with Nick Jonas. It turns out the tabloids can be right about some things after all. But let’s take it back to before arena tours, video shoots and cars to LAX. Anne-Marie Nicholson was Essex-born and raised, and has been performing ever since she was old enough to. Her childhood featured a West End performance here and a karate world championship there, before a solo demo back in 2013 was enough to land a slot singing for Rudimental and, unknowingly, a place in pop’s top training academy. “Before I joined them, I didn’t really know who I was as an artist and what I wanted to create,” she says on her time with the band. A world tour with Rudimental served as Anne-Marie’s apprenticeship - a less common move in an era of reality TV shows and instant stardom. So, while Anne-Marie’s rise to pop stardom may seem stratospherically quick to those of us in the general public, she’s certainly put the hours in and paid her dues. Whether she’s hit Malcolm Gladwell’s renowned 10,000 hours perfecting her craft is unclear, but she’s “been working for more than five years now on just writing and creating [my own] style”. Talking to Anne-Marie is to gain insight from someone who has thought long and hard about the artist they want to be and the music they want to make. Answers are considered and balanced, so it’s no surprise that she looks to be playing the game expertly and is on an upward trajectory. Her two most recent solo singles, ‘Alarm’ and ‘Ciao Adios’, both about cheating exes, hit the Top 20 and the Top 10 respectively, and she’s currently planning her biggest headline tour. Not that that’s likely to be a daunting prospect for her. If supporting Ed Sheeran, pretty much the UK’s biggest star in 2017, around Europe doesn’t prepare you, then nothing will. The Rudimental world tour included Wembley, and Sheeran’s ‘÷’ jaunt took Anne-Marie to 11 countries including three nights playing to over 55,000 people at The O2. Working alongside arguably Jamaica’s most famous guest MC isn’t as odd a pairing as you might think for someone who hails from the East of England. 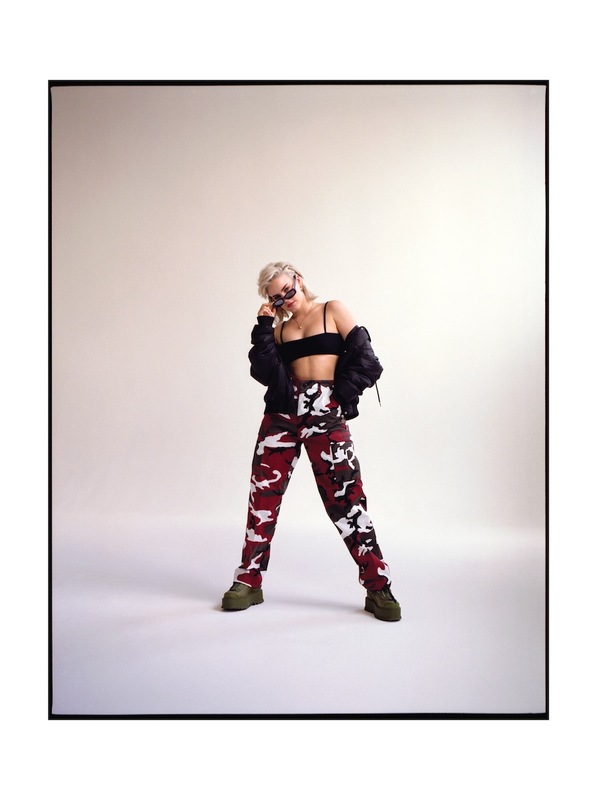 East Anglia might not exactly be the home of dancehall, but much of Anne-Marie’s work, from the tracks on early EP ‘Karate’ (a nod to her childhood trophies) right up to now, has an infectious bounce to it. That spirit of fun and good times is paired with an incredible voice, which hits that sweet spot instantaneously. She’s got a keen ear for a decent yarn too. ‘Alarm’ and ‘Ciao Adios’ might have been about former flames, but early cut, ‘Boy’, tells the tale of a flirtation that looks to be going the right way until it transpires Anne-Marie isn’t exactly his type (“Then you hit me for my number, babe / But then you go and call me ‘mate’/ …what?!”). For Anne-Marie, telling a story is just as important as the music behind it. Both the Nick Jonas and Clean Bandit collaborations came about because she particularly connected with the tracks, and her prolific writing is making song selection for her as-yet unannounced debut album more than a challenge. That maturity extends well outside of the world of music. The UK’s political landscape is constantly shifting right now, and could well look very different tomorrow to how it looks today, regardless of when you’re reading this. Corbyn’s late surge brought huge amounts of fervour and optimism, yet it wasn’t enough to land him the top job in Number 10. Anne-Marie was publicly supportive of the Labour Party leader on Twitter, yet what made her happiest was the youth mobilisation. “I think the more young people involved in politics the better - I’m happy that there was a movement.” After a period of such disenfranchisement and apparent hopelessness, it’s affirming to think there might be better times ahead. Back with the day job, the remainder of Anne-Marie’s 2017 sounds both thrilling and dizzyingly busy (“I love being busy”) with a full summer of festivals to go alongside single releases, tour planning and an exciting upcoming collaboration that, despite Clash’s best efforts, she won’t talk about. She confesses to being a homebird who misses her family when she’s on the road but you get the sense that she wouldn’t have it any other way. When you’ve been pursuing your dream from such a young age, and you’ve taken the long route to get there, time away from loved ones is the price you have to pay for mainstream success. Then, following a brief word about her upcoming tour (“I think that’ll be next year. I’m not sure though - don’t take my word for it”), she’s gone, winding her way through downtown Los Angeles en route to a transatlantic flight. A former karate world champion with her eyes on the prize who might just be about to totally conquer the world of pop? Maybe celebrities aren’t that much like you and me after all.